and stood on its shoulders. and sang with the birds. and stroked my hands through its ‘fynbos’ hair. and it sat with me. For the first time in my life, I went to a Rodeo. It was not any Rodeo it was the Pendleton Round-up! After 105 years the Pendleton round-up is still very popular with a crowd of 16 000 on the last day. The participation and involvement of the Native-Americans (Indians) emphasised the respect for tradition and different cultures that was evident throughout the rodeo. A rodeo is a sporting event in which cowboys show their various skills such as roping calves, riding bulls, riding broncos (wild horses that habitually buck). As a South African the Cowboy culture is something we only see on the movies. I’m used to farmers (‘boere’ as we call them in Afrikaans) who wear two-tone khaki shirts, Hi-Tech boots and drive in their Toyota ‘bakkie’ (the Afrikaans word for a pick-up). So, when we entered Pendleton and saw Cowboys riding on their horses with their Cowboy hats, long-sleeved check shirts, jeans and genuine Cowboy boots, it was like stepping into a movie scene. The difference was that it was authentic. The Rodeo opens with the Round-up Queen and Princesses (cowgirls) riding in with their horses and ended with cowgirl barrel racing. Seeing them riding so freely on their horses touched me deeply and stirred something inside me. I could sense the connection and companionship that they had with their horses. The nurturing partnership between the cowboy and his horse was ever present. I was quite surprised by my emotional reaction. After some reflection I came to the conclusion that we all have a cowgirl or cowboy inside of us. Most young boys dream of becoming cowboys. I also recall fond childhood memories of horse riding with a close friend on their farm. Horses draw us into a relationship with them. Riding them symbolises freedom, courage and a mysterious union with nature. This week my husband and I did some trail running and hiking in the Yosemite National Park and the mountains of South Lake Tahoe. We camped at Curry Village in Yosemite for three nights and spent two days running and hiking in the mountain and in the meadows of Sierra Nevada. After that we drove to South Lake Tahoe to run a section of the Tahoe rim trail. It was an amazing and fulfilling experience! The first day of our trail run we climbed 3 200 feet to Glacier Point. The higher I ran up the mountain, the deeper I connected with my body and the calmer my mind became. I tried to be mindful of what nature had to offer every step of the way. From the smallest ground squirrel, autumn coloured leaves, moss on the trees, different bird species and the granite boulders. 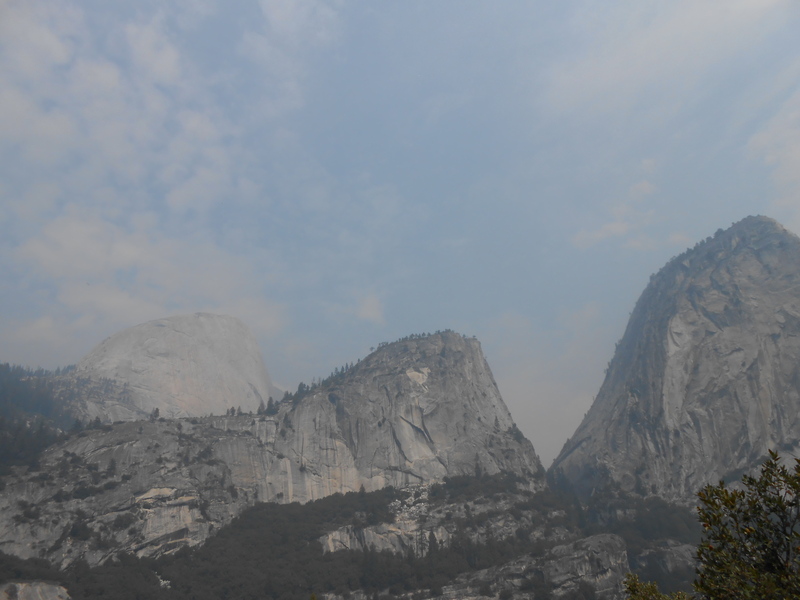 There were wildfires burning near Yosemite Village that influenced the air quality. When we reached the summit we could not take the postcard picture photo due to poor visibility. I was surprised that it did not upset me, even after I had had to put in hard work to get to the summit. It made me wonder what was different? I realized that it was because I was appreciating the journey. It reminded me of life. We tend to focus on the big goal, the peak of the mountain. But when you get there you usually don’t feel as content or happy as you thought you would feel. However, if you are mindful on the journey and allow yourself to experience the beauty of the small and mundane things, even the parts where you get bored or impatient when the road becomes long or tough, then reaching the summit of the mountain is just another step. Life is not about racing from one breath-taking moment to another but about breathing and taking in the moment, every moment. At the beginning of the year we (my father, brother, husband and I) decided that we were going to run the Knysna Marathon. Since then I’ve done many long runs as part of my training. For our first longer training session my husband and I went for a run in the Helderberg Nature Reserve, which is very close to where we live in South Africa. The farther we jogged up the mountain the quieter the chatter in my mind became. Until I discovered that I was completely in the now. I was not planning my future, what we were going to eat (or not eat) or thinking about the past. It was just me and nature. 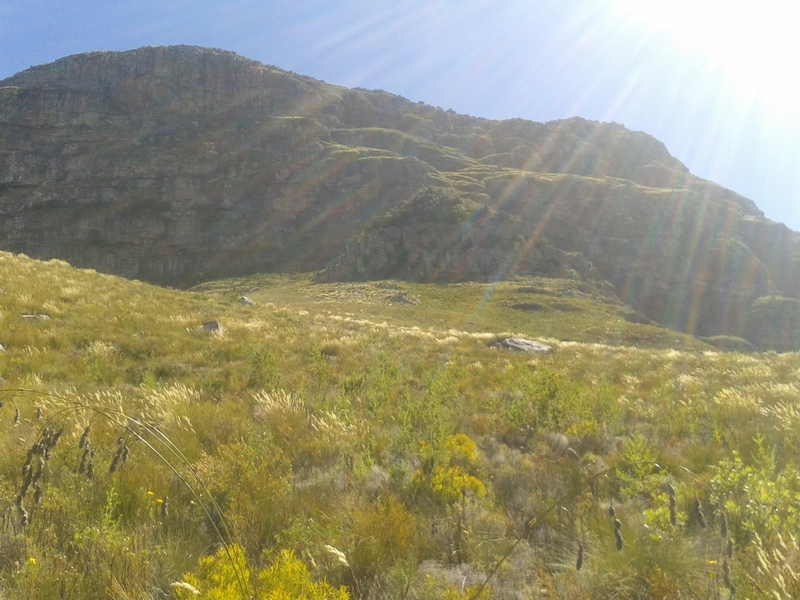 I could feel the sun on my shoulders, hear my heart beat and smell the fynbos. I’m not sure if you’ve ever felt it, but whenever I’m in the mountains I get a feeling of being connected. Not only connected with myself but with nature as well. We’ve been living in Boston for a few months. As a result I’ve discovered new training routes. 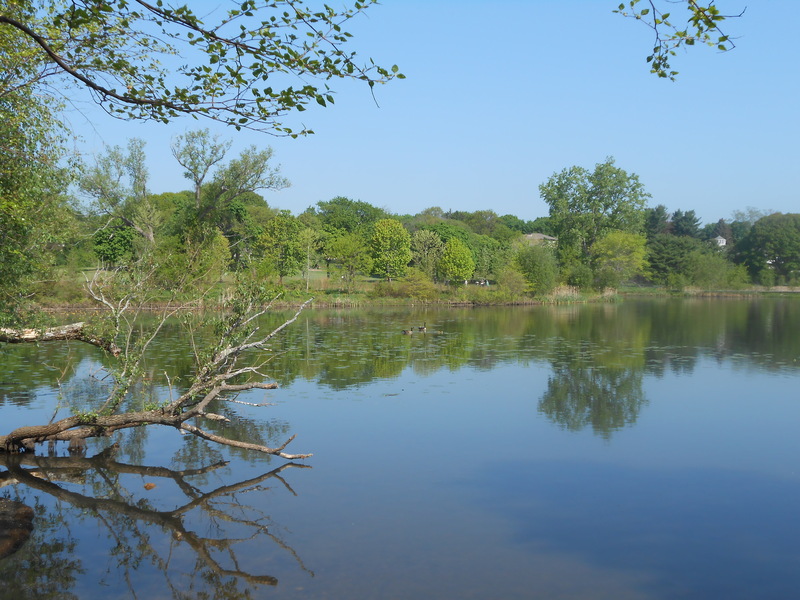 My favorite one is to run to the Fresh Pond in Cambridge. It is a beautiful pond surrounded with trees. What I find interesting is that I experience the same emotion of ‘connectedness’ running around the pond than I had when I ran up the mountain in South Africa. This made me wonder what it is about nature that awakens these emotions in me. So, I did a bit of research on the topic. Not much to my surprise a term that defines my experience already exists. The construct ‘nature connectedness’ refers to the integration we feel with nature or our emotional connection towards nature. The research further indicates that being connected with nature can improve our well-being and happiness. However, it is estimated that we are becoming more dis-connected from nature. Some studies found that we spend on average only 10% of our time in nature. There is new life in the soil for every man. There is healing in the trees for tired minds and for our overburdened spirits, there is strength in the hills, if only we will lift up our eyes. Remember that nature is your great restorer. Go out and connect with nature!